Davis has made his entire trade saga uncomfortable. It’s painful to watch. Anthony Davis walked into what he hoped will be his final game with the New Orleans Pelicans sporting a T-shirt that read: “That’s All Folks.” It’s a play on the Looney Tunes catch phrase used to signify the end of the show, and it obviously resembles his own feelings with his Pelicans tenure. 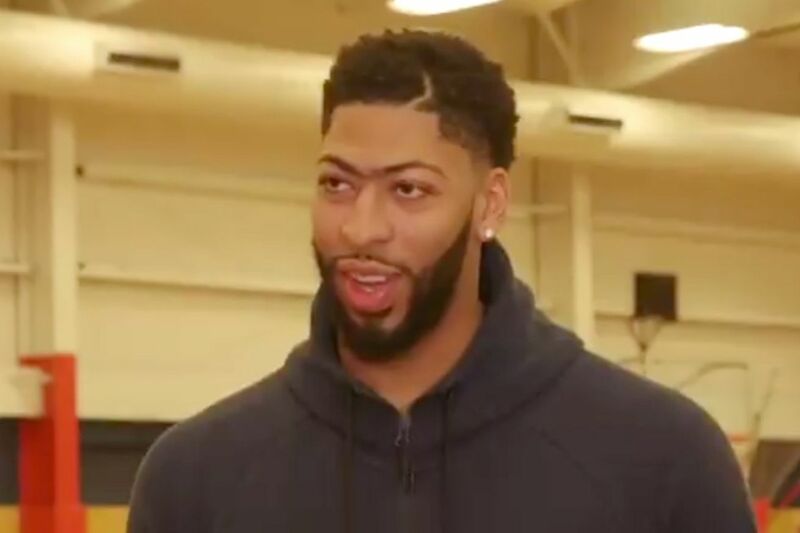 We knew Davis wanted out, and so did the people of New Orleans, but the extra zing is sure to slap Pelicans’ fans in the face. For the rest of us, it’s a reminder of the utterly bizarre, messy and embarrassing blunder that was AD trying and failing to get traded to play with LeBron James in L.A. The worst part of it all, though, is Davis continuing to plead ignorance. He “didn’t choose” to wear the shirt. He “didn’t know” who hung it up for him. Anthony Davis talks about his “That’s all folks” @WBLooneyTunes t-shirt and the message it sent. AD also said he didn’t intentionally pick that shirt out to wear. Says it was laid out for him. Anthony Davis makes for a terrible villain. If you lay out a punch, you have to back it up — or apologize for it. Instead, AD made it awkward. This back-and-forth makes you wonder if Davis would wear any T-shirt, no matter what was written on it. Would he have worn an “I love the Pelicans and want to play here forever” shirt if things played out differently? Would he don a “Ban unibrows” shirt? Would he sport a shirt with his social security number on it? Throughout this entire process, Davis has seemed like he wanted to be anywhere else but in the spotlight of his self-created mess. Davis isn’t wrong for requesting to play elsewhere, but he’s made his final days in New Orleans wildly uncomfortable. Previous articleTraining for the Boston Marathon Video Series Host Hello!